Grant Morrison’s Multiversity, a DC Comics miniseries announced way back in 2009, will finally see the light of day this August, Comics Alliance reports. Morrison describes the project as “comprising seven complete adventures … each set in a different parallel universe [with] a two-part framing story,” as well as “a cosmos-spanning, soul-shaking experience that puts YOU on the front line in the Battle For All Creation.” It also promises such delights as the “Vampire Justice League of Earth-43.” So basically, it’s a Grant Morrison story. 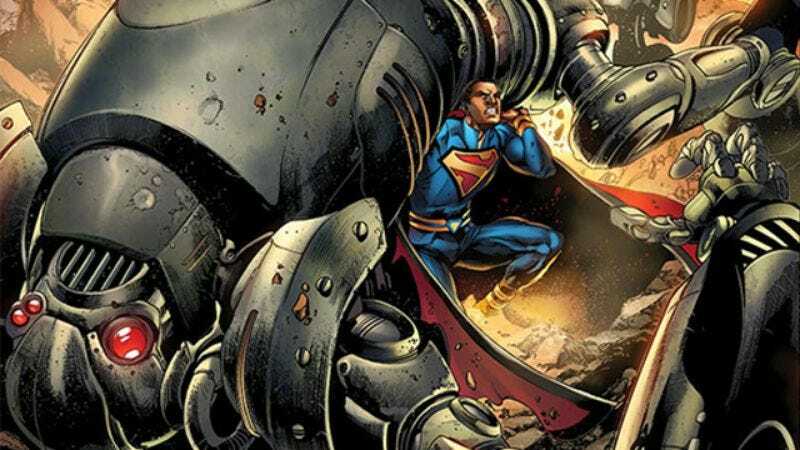 Morrison announced in 2012 that he’d be taking a step back from writing regular superhero projects, making Multiversity potentially one of his last mainstream superhero projects. His 7-year run on Batman recently concluded with last August’s Batman Incorporated #13. With a convoluted, meta-reference heavy (but always affectionate) approach to the genre, Grant Morrison has made an indelible mark on superhero comics over the last 25-plus years. Here’s hoping he hits one last one out of the park with Multiversity.